Is single platform, V-8 duo enough to build on success? 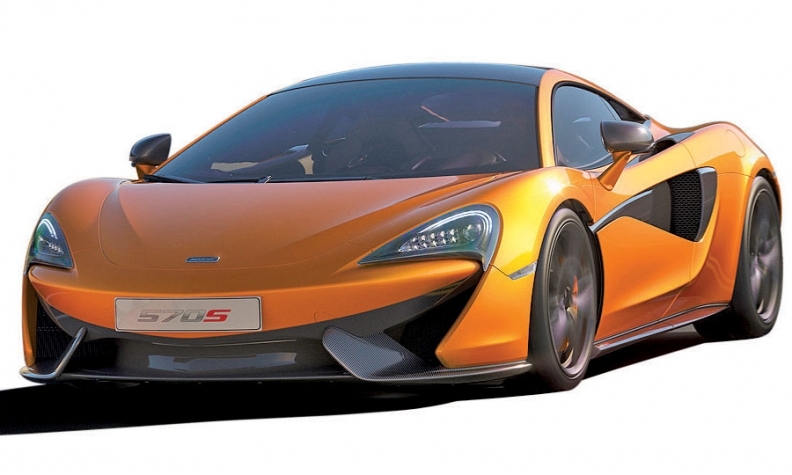 The McLaren 570S has racked up 1,200 orders since it was unveiled last spring. WOKING, England -- McLaren Automotive has achieved what no observer of England's perennially cash-strapped luxury car companies would have thought possible: consistent profitability in less than five years. The company, best known globally for its Formula 1 team, only seriously set itself up as a road-car maker in 2009 to compete with track rival Ferrari. The 12C supercar was unveiled in 2011. Since then, sales have expanded such that this year, McLaren expects to nearly double 2015's sales to about 3,000 cars and has added a second production shift and 250 jobs to cope with demand. The company turned its first profit in 2013. • 2012: 12C/12C Spider: The MP4-12C supercar (its full name, later shortened) was a successful 616-hp shot at Ferrari's core 458 model. The car's 2-seat, carbon-fiber central tub and twin-turbo V-8 formed the basis of all subsequent models. • 2013: P1: McLaren's halo car was a $1 million-plus plug-in hybrid supercar capable of reaching 60 mph in just 2.8 seconds. Production ceased last year after the planned build target of 375 was hit. 12C and was styled to address criticisms that the original looked too restrained for a supercar. The car spawned the more track-focused 675LT/675LT Spider last year. • 2015: 570S/540C: Having proved it could punch at Ferrari's weight, McLaren turned to swing at "entry" supercars such as the Audi R8 with the $185,000 570S and non-U.S. 540C. An open-topped Spider joins in 2017, after a mystery third model is revealed nearer to summer this year. "To do it that fast is pretty much unprecedented in the modern age," Joylon Nash, McLaren's global sales director, said in an interview at company headquarters here in December. The increase is mainly due to the launch of the entry 570S, a $185,000 car that moves from battling Ferraris and Lamborghinis to relatively affordable rivals such as Audi's new R8 and high-end versions of the Porsche 911. The success also is being driven by the U.S, McLaren's top market, where 570S deliveries are beginning. McLaren's secret has been its fiendishly clever manipulation of a single carbon-fiber platform and V-8 engine. They have been the bedrock of a dizzyingly quick launch program of models from the $1.15 million P1 hypercar to the 570S. McLaren has said the pairing will continue "into the medium term." But analysts and observers worry that fickle customers in this rarified marketplace will get restless. "The problem now is how to bring breadth to the range: a twin-turbo V-6, 2+2 seating or electrification, for example. People will soon want something else," an auto executive with knowledge of the company told Automotive News on the condition of anonymity. McLaren started out building racing cars in 1963, and the first road car appeared 30 years later. The £634,500 F1 supercar (about $935,000 in today's dollars) was limited to just 106 models and was so celebrated by owners and motoring media that examples now fetch millions of dollars apiece. Tesla Motors CEO Elon Musk took delivery of one in 1999, its last year of production. Emboldened, McLaren hooked up with Formula 1 partner Mercedes to build another supercar: the Mercedes-Benz SLR McLaren. This one, however, was a borderline flop. The seven-year production plan from 2003 was supposed to yield 3,500 of the £315,000 car, which would be about $464,000 in today's dollars. But the plan was cut short in 2009. Just 2,114 were produced in McLaren's Woking base in southeast England. The project exposed basic differences in how the two companies envisioned the ultimate car. The resulting front-engined, carbon-fiber SLR was an unhappy compromise between McLaren's desire for a track-nimble machine and Mercedes' wish to create a high-tech muscle car. It marked the end of Mercedes and McLaren's relationship. McLaren bought out Mercedes parent Daimler's 40 percent stake and raised the cash to create a separate and completely independent car-making arm, McLaren Automotive, in 2009. "Born on the Track" was its motto. For its new, midengined 12C supercar, the new company again went with carbon fiber for the central "monocell" tub and bravely decided to engineer its own engine. The 3.8-liter, V-8, twin-turbo unit developed with British engineering firm Ricardo "nearly killed McLaren and almost didn't happen" the executive said. "It had huge thermal issues and cost twice as much as originally thought," he said. The hard work paid off, and the company is firmly established on the radar of supercar buyers. The 570S, for example, has attracted 1,200 orders since it was unveiled at the New York auto show last April. "This is a transformational car for us," Nash said. It costs $80,000 less than the now-midrange 650S. To prepare for the rush of interest, McLaren opened five dealerships in the U.S in 2015, taking the total to 19 and accounting for just under a quarter of the 82 dealerships the company has globally. The plan is to get to 100 dealerships by 2017, by which time McLaren hopes to be selling around 4,000 cars a year. This year is payoff time for the U.S. dealers, says Nash. "That's when they'll start making good returns," he said. 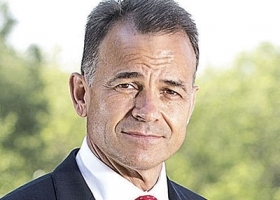 "We've become a very attractive investment proposition." Whether McLaren can sustain this growth depends on keeping customers interested. On paper, McLaren's range looks full. The entry Sports Series features the 570S and a cheaper 540C that won't be coming to the U.S after dealers worried it would confuse buyers. Then there's the more powerful Super Series that groups the 650S and open-topped 650S Spider, the cars that replaced the 12C. And finally, there's the Ultimate Series, consisting of the (sold-out) P1 limited-edition hybrid hypercar. Thanks to the restrictions of the carbon tub, all are two-seat, midengined cars with differing specs and styling. The 570S, for example, has aluminum body panels where the 650S uses carbon fiber. "It's basically the same car," said Ian Fletcher, principal analyst for IHS Automotive. "So, where do they move now?" Ferrari, he noted, has the benefit of mid- engine and front-engine platforms, and a V-12 and V-8. McLaren likely is "going to need another round of investment," Fletcher said. Flewitt: It pays to stay fresh. McLaren didn't comment on the future need to raise more cash, but CEO Mike Flewitt told Automotive News in 2013 that the current business plan runs to 2019. McLaren Automotive's largest shareholder is the investment arm of the Kingdom of Bahrain. McLaren publicly has said there are no plans for a cheaper car. It has ruled out making crossovers, in contrast to fellow British luxury brands Bentley, Aston Martin and Rolls-Royce. It also is restricted to a maximum capacity of 5,500 vehicles at the factory opened in 2011 on the striking but cramped Woking site. McLaren has been particularly aggressive in the speed with which it launches new models. The 12C lasted just two years before it was replaced by the more expensive 650S in 2014. Of the 3,000 cars the company expects to build this year, 2,000 will be the new Sports Series and about 750 will be a hotter version of the 650S dubbed the 675LT, named for the "Longtail" variant of the F1 road car. This special edition is limited to 500 vehicles, as is the 675LT Spider, and is sold out. Meanwhile, in 2017, the 570S Spider will be launched, and in the second quarter of this year, another variant of the entry Sports Series will be unveiled, possibly at the New York show again. "The fresher you keep the produce, the more you can keep your price up," Flewitt told journalists at last year's Geneva auto show. The company also has been careful to involve its customers as much as possible. After the sudden death of the 12C, Flewitt wrote to customers explaining why McLaren had killed the model and offering them for free the same software upgrades the new 650S received, fearing they'd feel abandoned. 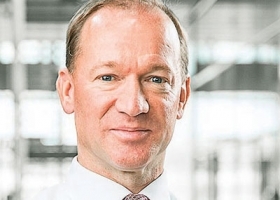 "The external perception is that McLaren is cold and obsessive, but buyers find we're very customer-focused, and we try to get as close as possible to them," said Nash, who was at Rolls-Royce before joining McLaren in 2014. He says the customers are very similar for the two brands: "What they want, they'd better get." He calculates customers, on average, start thinking about trading in 18 months after buying. Right now, their expectations are being met. Whether that continues depends on McLaren's ability to keep freshening the range. If not, the competition is moving fast, a reborn Aston Martin for one. With seven bankruptcies over its life, Aston offers McLaren a salutary lesson on how tough the luxury market can get. Said IHS' Fletcher: "In this sector, the highs are high, but the lows can be very low indeed."